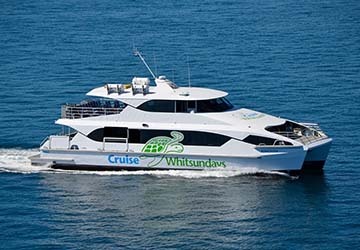 Cruise Whitsundays offers an extensive island resort connection service in the Whitsundays of Queensland, Australia, providing seamless transfers for those arriving and departing, as well as award winning island cruises. 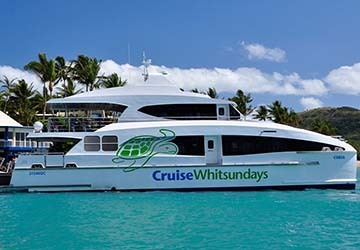 Cruise Whitsundays is a part of Marine Tourism Holdings who has been involved in highly successful maritime tourism operations from day cruises to resort connections and experiences for many years, not just in the Whitsundays, but also in New Zealand and Fiji. 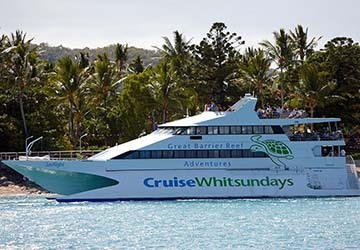 With their modern, purpose built vessels, Cruise Whitsundays connects Airlie Beach and Shute Harbour, on the mainland, with Hamilton Island and Daydream Island Resort and Spa numerous times a day. 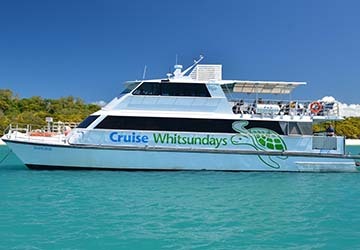 Cruise Whitsundays’ fleet features the largest and most comfortable ships in the archipelago and on board you’ll find spacious air-conditioned lounges, large viewing decks, wide screen televisions providing information on the resorts and local area, as well as a bar serving a full range of drinks and snacks. 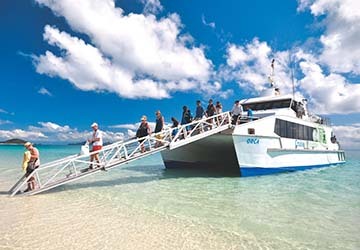 Direct Ferries provides a ferry timetable and price comparison, based on your search criteria, allowing you to compare Cruise Whitsundays products with multiple ferry company timetables and fares in one search. 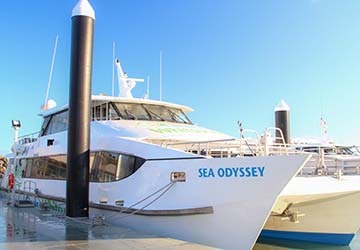 Compare Cruise Whitsundays timetables and prices now with all alternative ferry operators before booking your ferry ticket to ensure you get the best option for your ferry trip.